JAN SAHYOG EVAM GRAMIN VIKAS SANSTHAN is located in Lucknow Uttar Pradesh . JAN SAHYOG EVAM GRAMIN VIKAS SANSTHAN is registered as a Society at Lucknow of state Uttar Pradesh with Ngo unique registration ID 'UP/2009/0007874' . 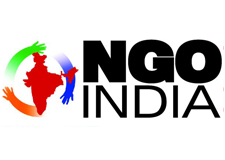 The NGO registration is done by Registrar of Societies with registration number 211/2005-2006 on the date of 03-05-2005, Its parent ORganaisation is PaulFoundation. The Chairman of JAN SAHYOG EVAM GRAMIN VIKAS SANSTHAN is Basant Singh Gahlaut and Chief functionary officer is Raj Kishor Singh. Promoters are Seema Singh, Urmila Devi, Razia Khaton,.